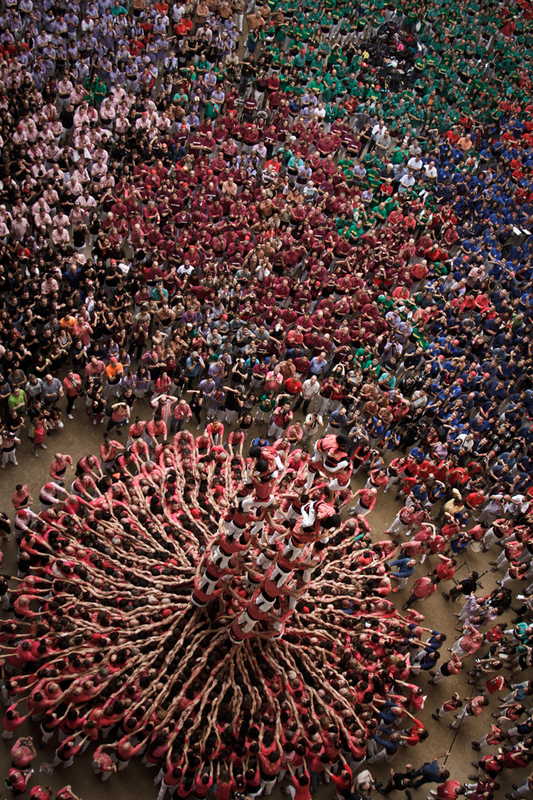 One of the most important (and perhaps most inspiring) traditions of Catalonia, Spain, is that of building castells – human towers usually consisting of up to 500 people, often up to 10 men high. The custom dates back to the late 18th century, and usually takes place during certain festivals throughout the year in Catalonia as well as the Balearic Islands. 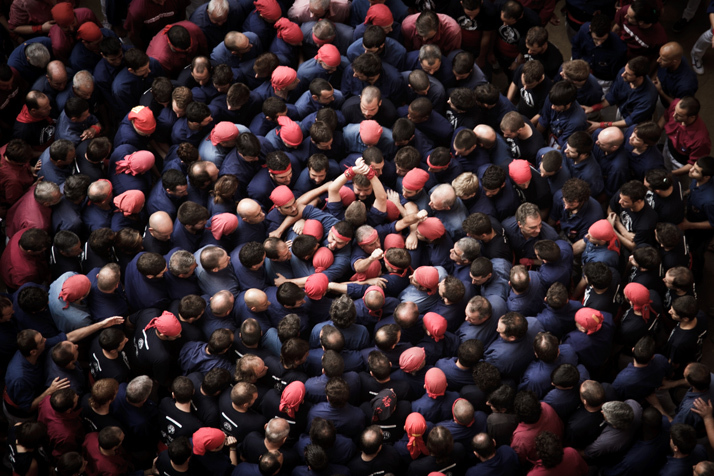 The most important castell-building event during the year however, is the prestigious Concurs de Castells, a biannual competition that takes place in the city of Tarragona where castell teams compete to produce the tallest and most difficult human tower. 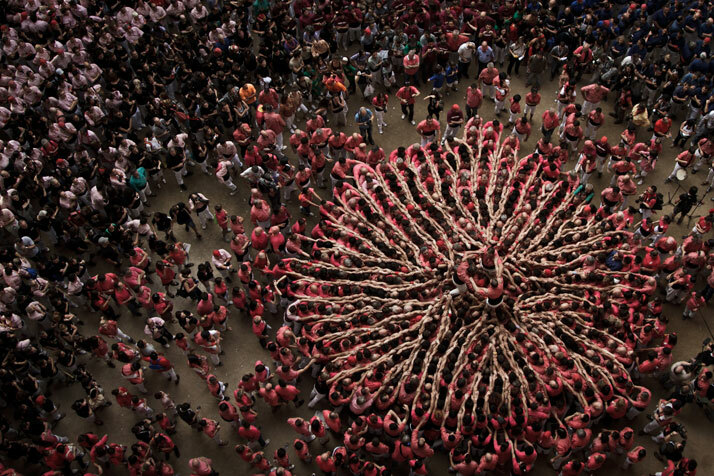 Constituting a significant part of Catalonian culture and a true celebration of human collaboration, courage and togetherness, castell-building was added to UNESCO’s list of ‘Masterpieces of the Oral and Intangible Heritage of Humanity’ in 2010. 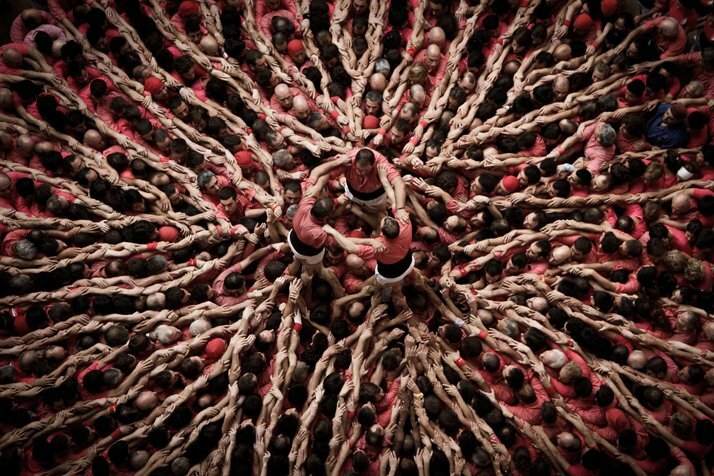 Catalan photographer, traveler and filmmaker David Oliete Casanova (who was born and now resides in Tarragona) managed to capture the sweeping emotions, tension and concentration witnessed at the 24th Concurs de Castells, which was held in October 2012. 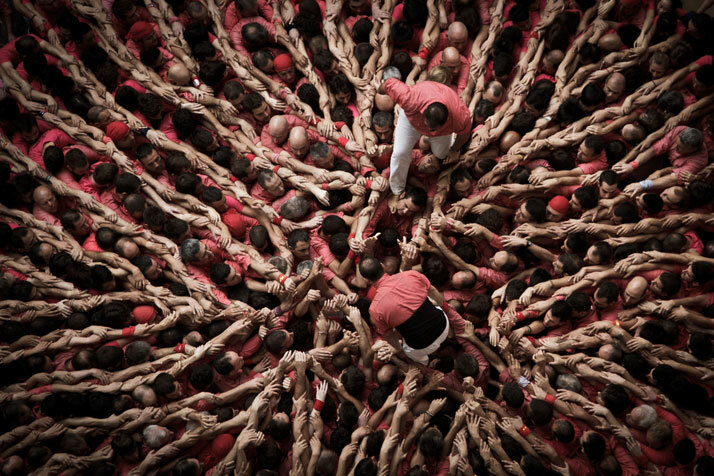 As you can see for yourselves, it is little wonder that one of the pictures from his human-towers series was highly commended at the Travel Photographer of the Year 2013 Competition. 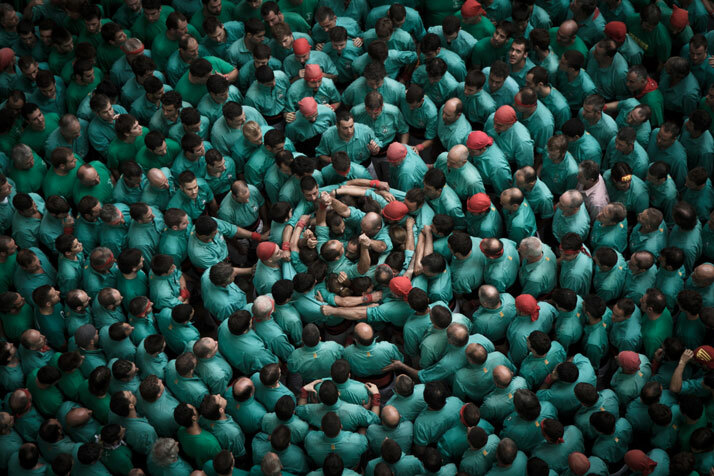 Oliete’s images strongly convey the sense of cooperation and togetherness that permeates castell building, especially those depicting the formation of the pinya, that is the base of the tower, where large numbers of participants group together to form a dense circle in order to sustain not only the tower’s weight but also to act as a ‘safety net’ for accidental falls. 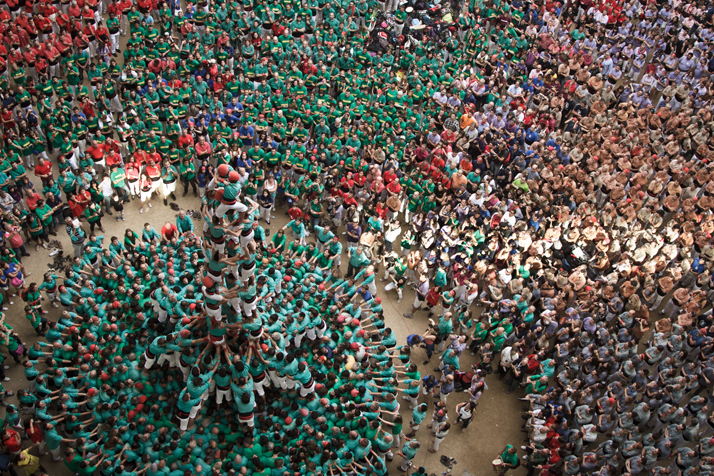 It is not uncommon for pinya formations to include members of rival teams in order to ensure the safety of the climbers – a gesture that in itself speaks volumes about the inert spirit of friendship and fair play that permeates this tradition. 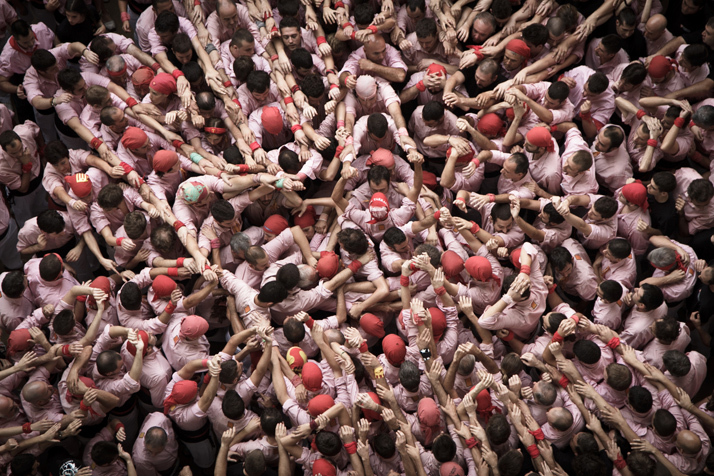 David Oliete has also produced a short video documentary from the 24th Concurs de Castells which gives a better insight into the event and its explosive atmosphere. 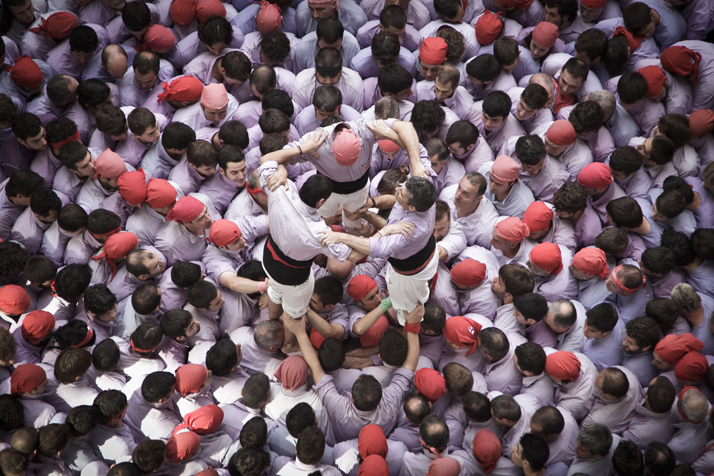 [YatzerTip]: If you are going to be in Catalonia come October this year, don’t miss the 25th Concurs de Castells which will take place in Tarragona on the 4th and 5th of the month. photo © David Oliete. // Highly Commended picture at the Travel Photographer of the Year 2013 Competition.